Though it isn’t as famous as Bali, Lombok is also a popular tourism destination in Indonesia. It is an island located in Nusa Tenggara Island. It has various spectacular tourism attractions, whether in the land or in the sea. It is a tourism destination which has to be your holiday plan’s list. Then, the exotic beaches are another Lombok’s tourism attractions that you don’t skip to. You can swim, walk through the beach, dive, and surf. Whatever activities and places you choose, you wouldn’t be disappointed by Lombok’s spectacular natural beauty. A number of popular beaches in Lombok are Senggigi beach, Gili Trawangan beach and Tuta beach. Senggigi beach is known by its pure water and white sand. 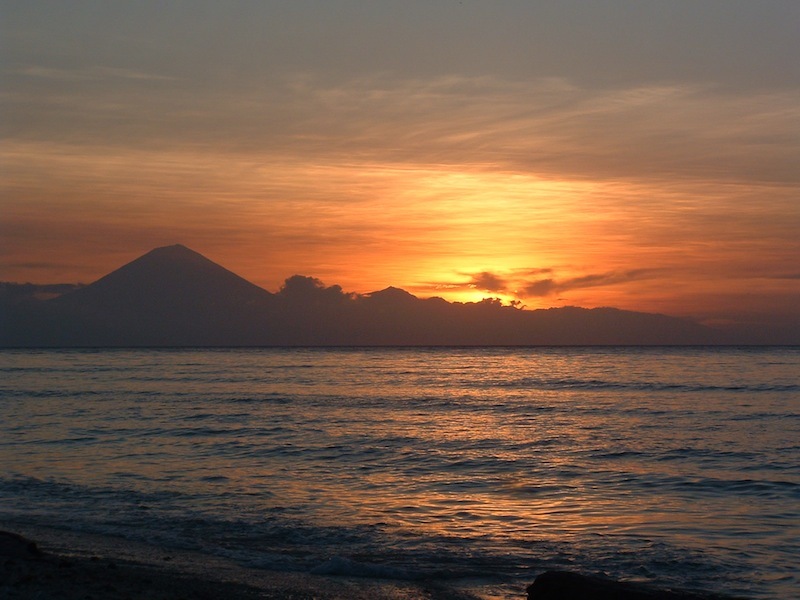 The visitors usually come to Senggigi beach for diving, snorkeling or taking canoes. Life on this beach is never ending, though the night come, the music was still heard out of the various cafes and restaurants. Meanwhile, Gili Trawangan is one of three famous small islands (three Gili) in Lombok. Names of Gili Air, Gili Meno, and Gili Trawangan in Lombok, West Nusa Tenggara Province are like a magnet and always make the tourists amazed by its beauty and feel comfortable to stay long in this island. Besides the beaches and mountains, Lombok tour isn’t complete yet if you don’t interact with the local people in Sade village. 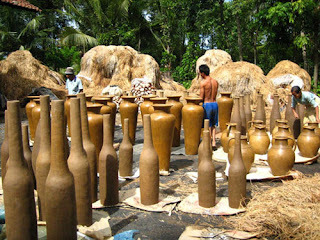 This is one of the traditional villages (village tour) originally from Lombok. The Sade local people’s houses are made of bamboo construction with a coarse grass roof. Besides the house architecture, social systems and their daily life are close to the traditions of the past Sasak people. Sade local people are still holding on firmly to their customs and traditions. Now, transportation to spend holiday in Lombok are reachable. There are a lot of flights and voyages go to this island. A lot of foreign tourists come to Lombok for a honeymoon or just have a holiday with family or friends. Senggigi is a Lombok tourism magnet which the visitors have to visit to. Besides The Senggigi beach, there are three exotic islands (often called as “Gili”) that becomes the most favorite destinations for both domestic and foreign tourists. Those three islands or Gili are Gili Trawangan, Gili Meno, and Gili Air. There is a Sunset View in the west side of Gili Trawangan that is suitable for seeing the sunset beauty. In the evening, this place will be crowded by visitors who sit on the seashore while waiting for the sunsets. Some cafes and bars in Gili Trawangan provide live music, starts from top 40 modern music to Reggae that are passionately enjoyed at night. Meanwhile, there is a turtle conservation which isn’t far from the Gili Trawangan harbor. Gili Trawangan is a well-known diving activity centre. There are a lot of diving spots around Gili Trawangan and its surroundings. Some of them are Coral Fan Garden, Halik Reef, Trawangan Slope, Bounty Reef and the last but not least Shark Point and Jack Point. Gili Meno is located between Gili Trawangan and Gili Air and very suitable for you who dream about relaxations. You’ll serve with calm tropical beaches’ natural nuances. Along the seashore are full of the dense mangroves. Though it is just a small island, Gili Air has had good and complete facilities such as; the transportations, hotels and inns accommodation, restaurants, discotheques, cafes and praying places. It is very suitable for enjoying sunbath under the warm tropical weather.